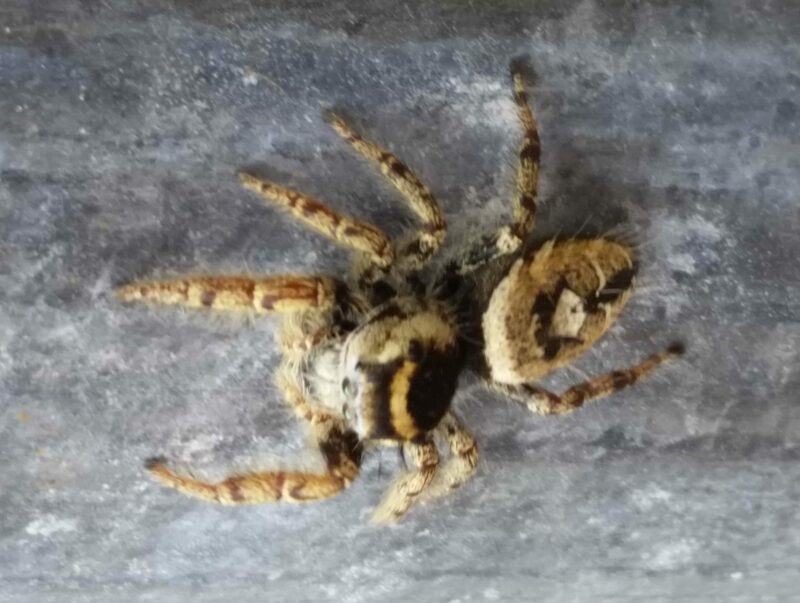 Does anyone know the specific species of this jumping spider? Maybe a two- flagged jumping spider. I just got bit by one. I was just bit by one that looks very similar to this one. Great thanks. Are they poisonous? Hi. I dont really see two flagged jumper here, it is one of the Phidippus genus though. Like most spiders, they are venomous but not of medical importance. They are not going to bite unless trapped against skin and then, not as bad as a bee sting. Of the great many jumpers I have handled, only bitten once and was very insignificant. Even watched her biting, my bad trapping her between fingers.